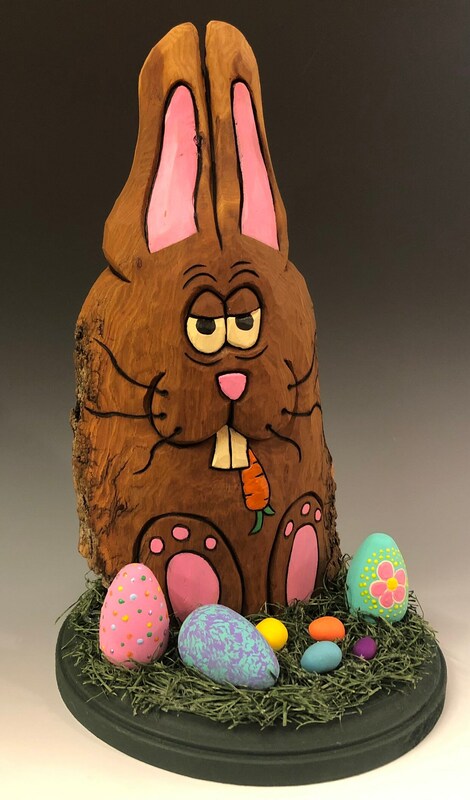 HAND CARVED original 11 tall Easter Bunny on base w/ moss and eggs from 100 year old Cottonwood Bark. 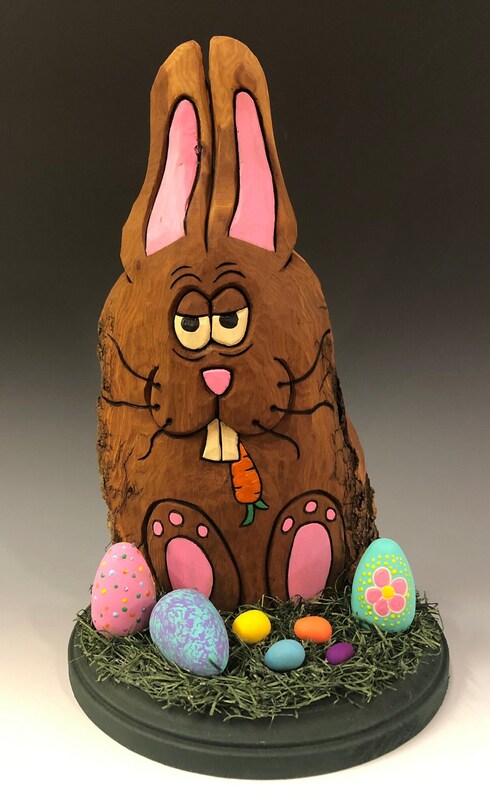 HAND CARVED original 11" tall Easter Bunny on base w/ moss and eggs from 100 year old Cottonwood Bark. 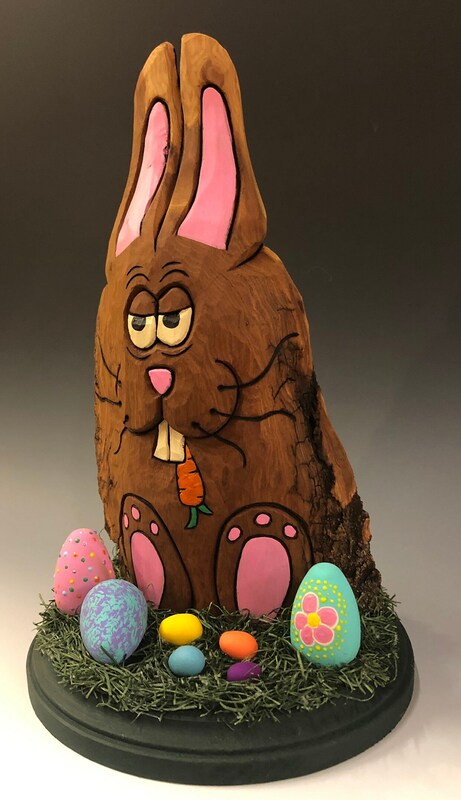 I have been a full time wood carver for close to 30 years. 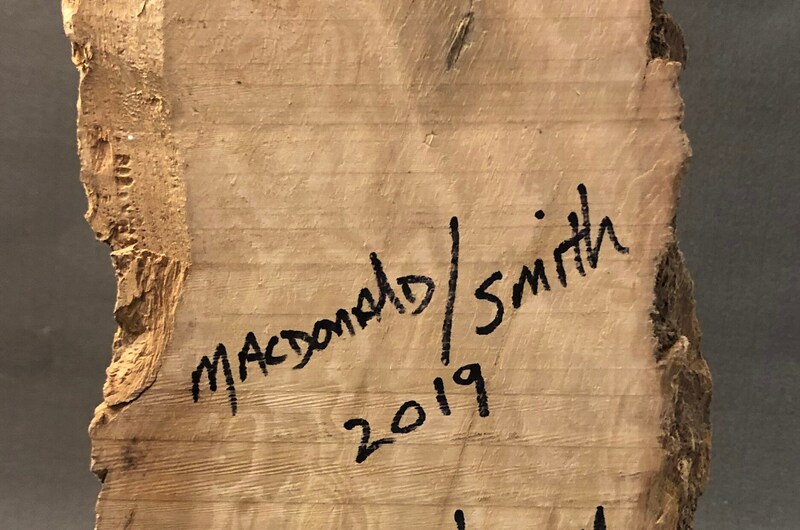 Mell, a talented studio painter, has been painting my carvings for close to 5 years. 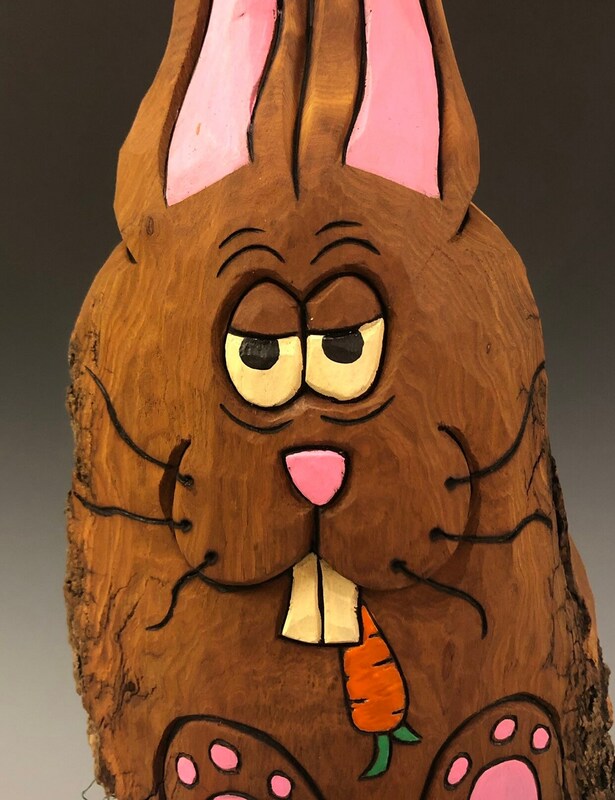 This piece is a hand carved Easter Bunny from 100 year old cottonwood bark. It is carved in free standing deep relief (flat on the back). This makes it perfect for sitting on shelves and fire place mantels! 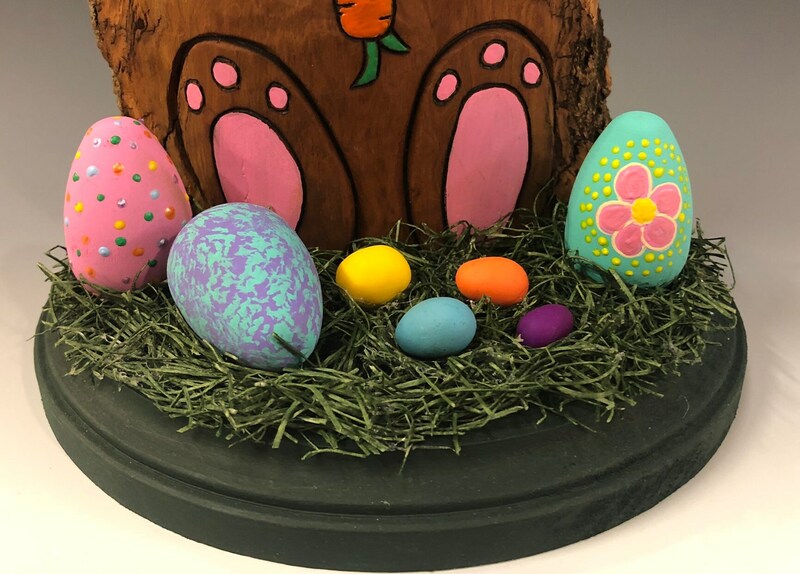 This piece measures 11" tall by 7" wide and is attached to a base covered in natural moss and painted eggs. Painted partly in acrylic and then antiqued it with an oil finish to give it a soft, aged appearance. I leave the backs of my carvings natural so there is no doubt it is a hand carved original....NOT a reproduction!